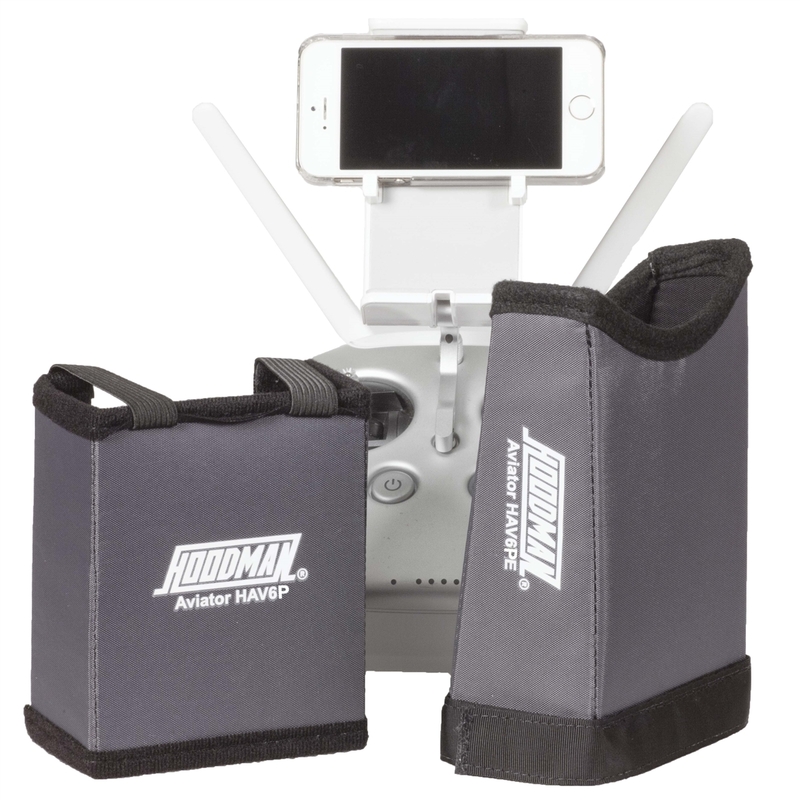 The HAV2 aviator hood for drone pilots mounts to your iPad Air 2 for improved outdoor viewing. 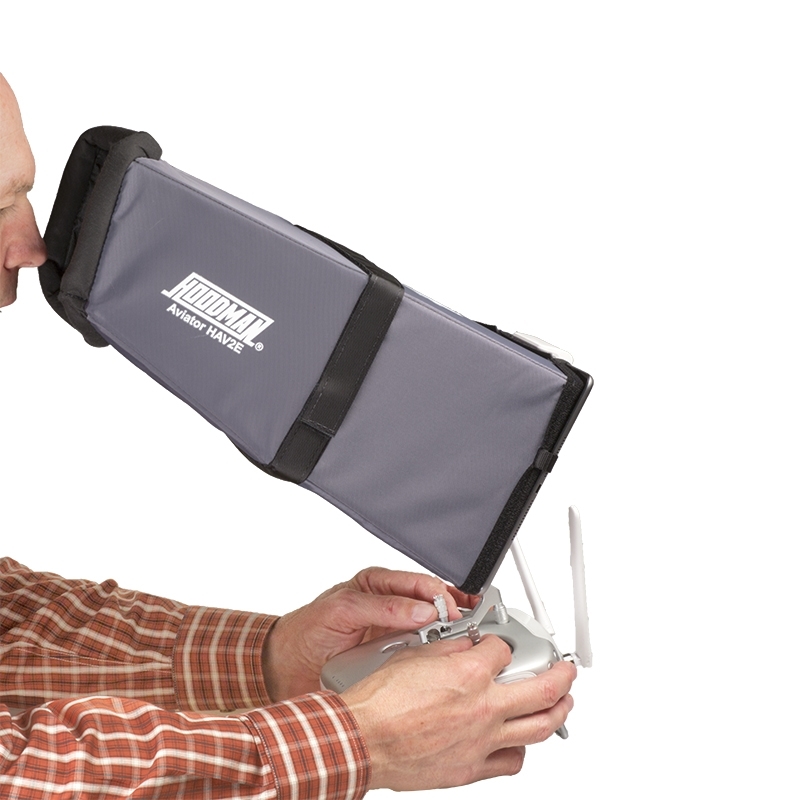 The bottom panel of the aviator hood has a unique pierceable feature to aid in touch screen access. 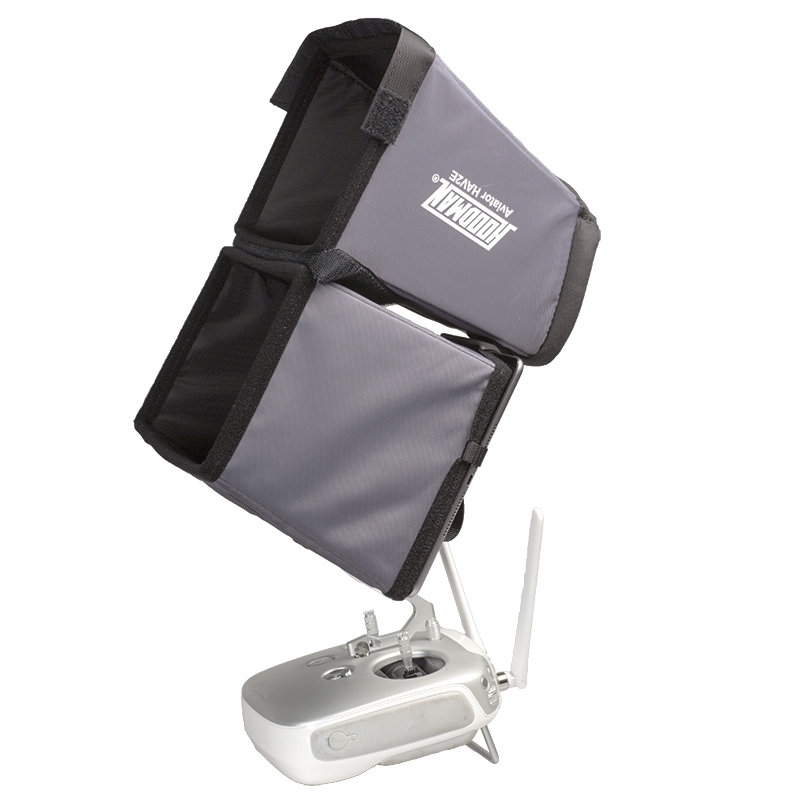 Two adjustable mounting straps make mounting quick and easy.